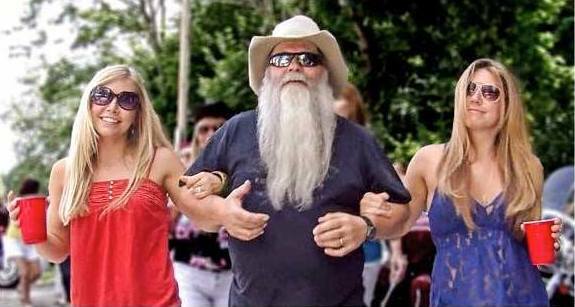 Tony Krucinski, The Snake Oil Willie Band's drummer, in a film still from their viral video for the song, "I Don't Look Good Naked Anymore." Photo courtesy of The Snake Oil Willie Band. SUSSEX COUNTY, NJ – Three Sussex County residents are making a name for themselves on YouTube, after launching their first original song, “I Don’t Look Good Naked Anymore,” on July 18. The song has garnered over 1.3 million hits on YouTube to date. 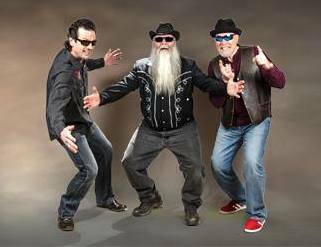 The Snake Oil Willie Band has been a local cover band in the area, that has earned its following through gigs at area establishments, as well as private parties, since Tony Krucinski, drummer and vocalist, started the band in 1995. Frank DeBonis is another vocalist and the band’s bass player, and Seth Fleishman, is a vocalist and the guitar player for the group. The Snake Oil Willie Band. Photo courtesy of The Snake Oil Willie Band. From there, Fleishman recorded it at home, played it for the rest of the band, and the band created a demo. Then they performed the song live a couple of times, but had not played it again at gigs. From there, they conceptualized the idea of creating a video, in hopes of having a viral video to accompany the fun and catchy song. They hosted a party up in Kemah Lake and invited friends, who ended up a part of the video. The video was a collaborative effort between the three artists. After launching it on YouTube, the band shared it on Facebook, and from there, it has been talked about on social media, and has already enjoyed its place on various charts, including the number one spot on the Outlaw & Progressive Country and number two spot in the Comedy category, on Amazon MP3 downloads. The band additionally has made its way on a Country Chart in the United Kingdom, ranking currently at number 16. There have even been others who have already performed their own versions of the song. Click here to view on YouTube. The song has been coined the “Song of the Summer of 2014,” the “Song of the Summer,” and a new anthem for the summer. One of the scenes in the video, “I Don’t Look Good Naked Anymore,” an original song by The Snake Oil Willie Band. Fleischman said in addition to the band’s playing style, many enjoy their sense of fun, which shines through in their performances and on the video. The band, Fleischman said, which usually performs classic rock, oldies, and Southern Rock covers, now has over 1,500 subscribers on YouTube. “That’s 1,500 people that say they want more content,” said Fleischman. He said the band is exploring next possible steps to go forward. Click here for The Snake Oil Willie Band’s website, Facebook Group Page, and below for their hit video. 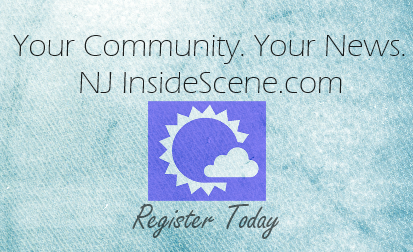 Stay on the scene for NJInsideScene.com and click here to follow us on Facebook.